How can Promethean enhance classroom engagement? 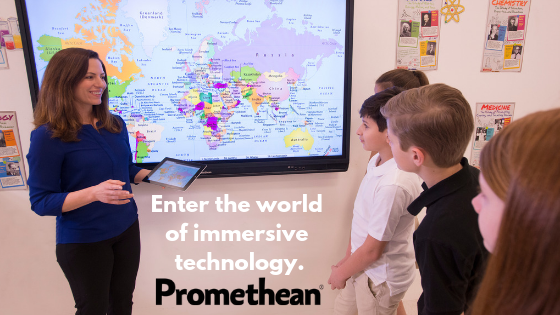 Promethean offers a wide range of interactive panels allowing students and teachers to communicate simply and effectively. 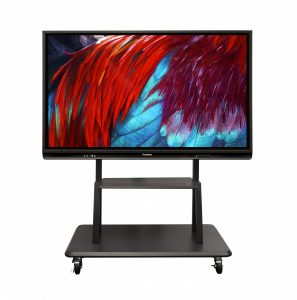 With over fifteen touch points, Promethean’s panels differentiate themselves from the average ten touch point displays, making it easier for larger groups of students to interact and engage. Classrooms can engage at lighting fast speeds not only because of the touch points, but also for having the ability to collaborate from anywhere. From across the hall to the back of a classroom, mirroring and sharing work has never been easier. With the use of dual network capabilities and wi-fi hot spot connectivity, students and teachers are able connect learning to devices. Is there software enabled through Promethean’s Displays? There are two software’s programmed into each Promethean Display, ActivInspire and Classflow. Both software enables discovery of next-generation lesson delivery that leverages technology to energize the learning environment. ActivInspire focuses on creating and delivering dynamic lesson plans through a platform full of tools that engage teachers on all instructional levels. ActivInspire encourages students to work together with dual-user and multi-touch functionality for interactive displays. Classflow is geared for cloud-based collaboration, delivering a web-based tool for students to send, save, and present over Bluetooth connectivity. 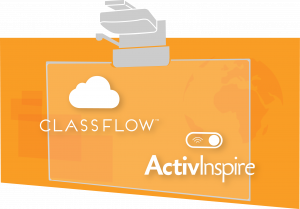 Classflow is all about access. An online marketplace is live 24/7 for teachers to access interactive instructional materials, unit plans, assessments, teaching guides and worksheets. The best part is teachers are creating the material to share with educators around the world! 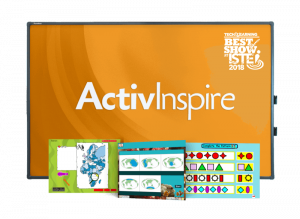 Tools for these interactive displays have been specifically designed with the sole purpose of continuing to support instruction, engage students, and inspire learning for years to come. Is there a variety of interactive displays to choose from? Activpanel is the top-tier model, available in 4K and HD and ranging from 65” to 86”. This display provides a tablet-like experience at the front of the classroom, with highly-accurate touch detection. Teachers shouldn’t be able to tell the difference between pen-on-paper writing performance when using the ActivPanel touch technology. Activpanel i-Series provides teachers with the essential interactive panel, reliable and simple to set-up. This model is available in 4K (75” only) and HD (65” only), ranging from 65” to 75”. The simplicity behind the i-Series is how accessible and easy everything is to operate. With front and back ports, powerful sound control and add-on computing options – the experience of creating a tablet like experience in front of the classroom is finally possible. 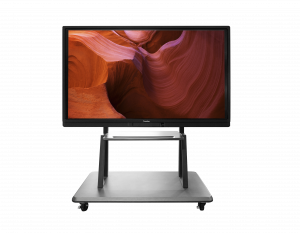 ActivBoard Touch is the ultimate multi-touch display, with dry-erase writing capabilities and tools to support teacher’s daily instructions at an affordable price. This model is available in 78” and 88”. Last but certainly not least, the ActivWall display. 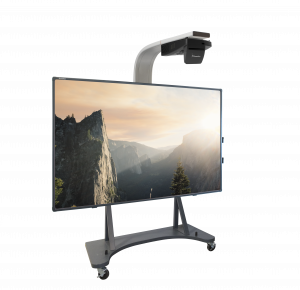 Equipped with new levels of collaboration, Laser Curtain Technology allows for precise multi-touch interactivity and dry-erase writing. 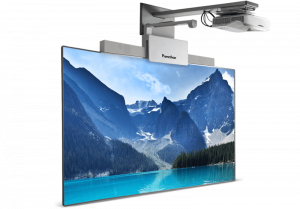 Prometheans ActivWall custom wide-angle camera and mount location deliver incredible responsiveness and a precise touch experience. Does Promethean interactive displays seem like something that would work well in your classroom? Contact our sales department or check out MicroK12’s website to learn more.